Eek! It’s Halloween in Cleveland! Home > Hair Style > Eek! It’s Halloween in Cleveland! 03 Oct Eek! It’s Halloween in Cleveland! 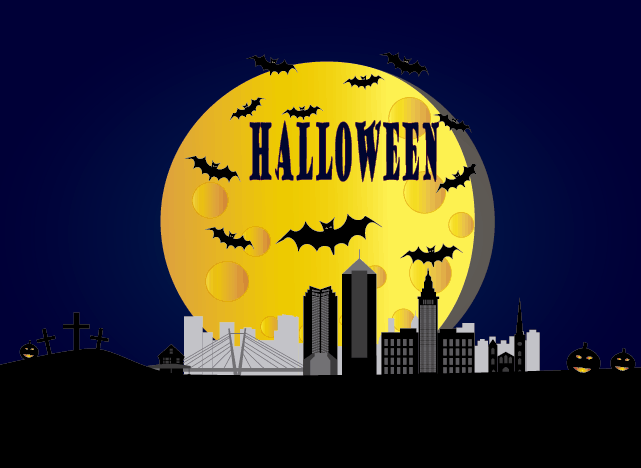 The good folks at Cleveland.com in partnership with The Plain Dealer, put together an amazing and extensive list of Halloween activities in our area. There are so many different options – from scary movies to not-so-scary activities for families with little ones. We can’t decide where to start! Actors have been bringing the cult classic, “Rocky Horror Picture Show,” to life at movie theaters for years. Now they take it to the stage at this production at Blank Canvas Theatre at 78th Street Studios. It’s all treats and no tricks for families who flock to this beloved annual Halloween event. This year’s party among the animals features 4-D theater shows, candy stations, carousel and train rides. Illusion Unlimited: And for the animal lovers among us, here’s a great idea that came to us courtesy of the Palm Beach Zoo and Conservation Society! They are urging everyone to make conscious candy choices this Halloween. What does that mean? Well, at their Halloween celebration, the Palm Beach Zoo is only offering candy from manufacturers that are a part of the Roundtable on Sustainable Palm Oil – RSPO or who follow comparable sustainability practices. The harvesting of palm oil in Southeast Asia is one of the biggest threats to animals like the Malayan tigers they have at their zoo and a lot of other animals as well. Yuzu, the Lakewood bar with wacky events, invites you to share your worst dating stories from the best dating app around. Everyone has four minutes to share, and finalists win prizes. Find the best spooky and punk-inspired wares at this annual flea market. Jewely, home décor, taxidermy, crafts and more will all be for sale at Cleveland punk bar Now That’s Class. Now in its eighth year, this all-night movie marathon will feature a full line-up of classic horror faves. Films slated to screen this year include “Hellraiser,” “Freddy vs. Jason” and more. They’ll also have their annual secret film that won’t be revealed until the night of the show. What’s better than a dog all dressed up for the holiday? Halloween is for pups, too, as you’ll see at Lakewood’s annual pooch parade. Get ready for wacky costumes and adorable accessories as the cutest pups show off their style. Historic Downtown Willoughby is always high-energy, but they’re turning it up for Halloween at this bash held at SOL. Bars and restaurants from the city – including The Players Club, Wild Goose/The Morehouse, Willoughby Brewing Company, Nickleby’s and 1899/Ballantine – will be offering food. DJ Tosh will spin EDM in the main dining room, while DJ Roko plays ’80s and ‘90s on the patio. A costume contest with cash prizes will be held. And when you’re ready for a calm, safe, sane experience, give us a call at Illusion Unlimited! We are known as one of the top hair salons in Cleveland, Ohio. There’s nothing scary here. Our clients have known and trusted us for years! But, if you need a little help styling your hair for the big night, we do offer Special Occasion Styling. Call our Strongsville salon, or make an appointment at one of our other locations. And at our nail salon in Parma, you could have your nails painted a stylish black.